Ninth standard is a crucial period in the system of Indian school education because; it is a gate way to the Board exams. Not only that, it is the most important predictor of high school success. So students get tensed up always and in order to reduce their learning stress and help them see their upcoming years with more confidence and cheerfulness; a one-day orientation programme had been arranged by Paavai Institutions for the ninth standard students on 02.11.2018 at Montfort Hall, R.S.K. School, Trichy. The inauguration took place in the morning. 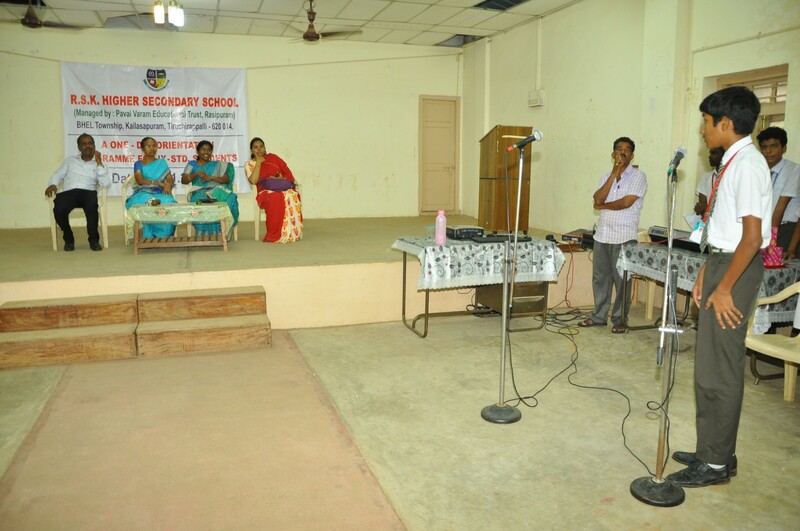 The resource persons, Dr. R. KasthuriBai, Dean Faculty Development, Dr. K. Selvi, Dean Academics and Mrs. Mahalakshmi, Additional placement officer, Paavai Institutions, were greeted and introduced to the audience. 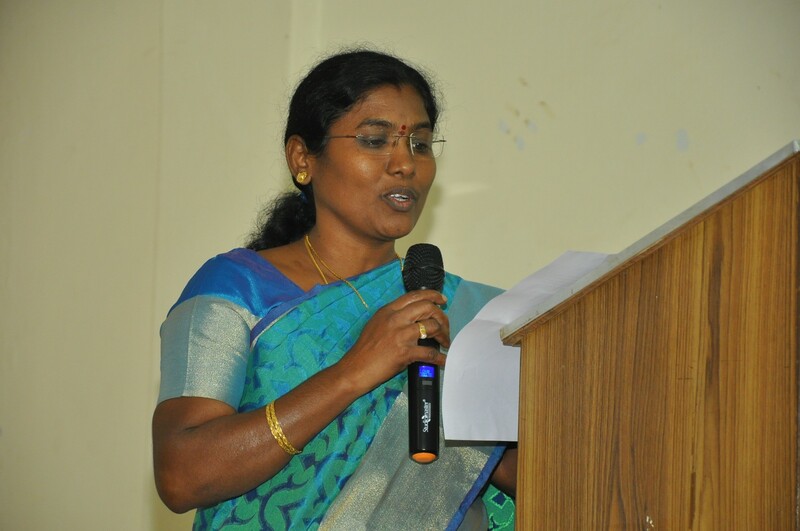 Dr. K. Selvi read out the objectives of the orientation programme. After the formal introduction, the students were divided into two teams and the resource persons handled classes on the proposed titles concurrently. For those students who assembled in the lecture hall, Dr. K. Selvi took a session on the topic “The Art of living well”. She spoke that the essence of life is to stand by one’s own words and deeds. Behavior, beliefs, attitude, discipline, resource, etiquette, commitment and the will to succeed are some of fine aspects of life which facilitate one to live well. She concluded her speech by telling the listeners that students should develop a positive mindset and they should write their own success story by discharging their academic and filial responsibilities. Dr. R. Kasthuribai, Dean Faculty Development, conducted a few ice-breaker activities to trigger the interest and enthusiasm of the learners. 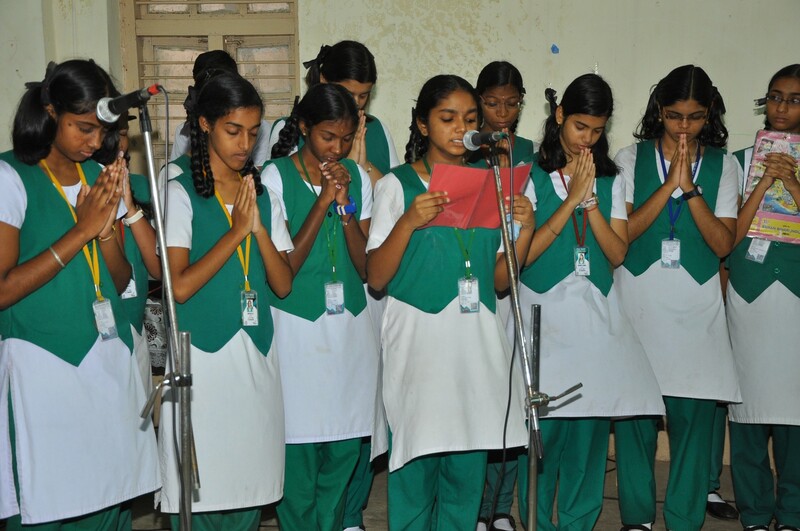 She lectured on the title “Teenage culture with special sequence to friendship, relationship and worship”. She quoted that “Education is the passport to the future and tomorrow belongs to those who prepare for it today”. The teenagers must learn well to lead well. They must learn to choose true friends who will say what needs to be said, no matter if one wants to hear it or not. Similarly the teenagers must report their parents and teachers who impact life skills to them. She delineate that work is worship togetherness is culture. Dr. K. Kasthuribai gave examinations tips and emphasized finally that one has to be a warrior and not a worrier. All the three sessions focused on the message that one should have a clear dream, knowledge, hard work and perseverance. Mr. Mahalakshmi, Additional Placement Officer did a presentation on career planning for 9th standard students of RSK School. She discussed several important factors that influence the career and future of the school students. She also discussed about the various groups available in XI and XII standard and how they impact their future. She finally concluded and wished that, students should come out with flying colours and be a successful person in life. In the evening during the valedictory session, the students gave their feedback stating that they felt excited about the programme and also got inspired to fix their goal and work towards it. Another significant aspect of the orientation programme was that the entire event was led by students. Totally 304 students attended the programme.